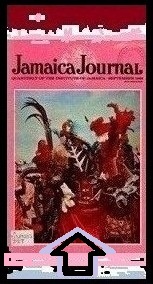 There are very few stories about Jamaican writers, one or two websites on them, and almost no information about them as a group of people who create a certain kind of literature. But if you really step forward and take a closer look, you'll see that there is a well-defined, creative group of Jamaicans that could call themselves writers and not only that but also with some good storytelling behind them. There’s also an important factor with regards to the combination of English and Patois that is directly related to them; every Jamaican writer has to come to grips with this. There will always be thoughts to express a feeling or idea in Patois and this gives him or her the uniqueness to step out of the English language, the official tongue on the island, and say it in Jamaican as we'll be calling the language we invented from now on. Most Jamaicans were taught to be ashamed of Patois because it was broken English, an unintelligible garb that the natives of the island of Jamaica spoke, something with a twang of certain African dialects, mixed with some Spanish and French words. Little did they know, though, that it would become such an important vernacular for Jamaican writers and the entire country. Far from that because Patois is now spoken by every Jamaican and even some Americans, Canadians and British people speak it. There are other places around the world, too, that have come to learn this vernacular. We have come up with a unique way to express ourselves and at the same time have conserved the English language, I was going to say the Queen’s English, but I can’t because my English has turned itself into American English because of the opportunity I had to further my education at the Baltimore Polytechnic Institute and Loyola University in the United States. That’s another important point about Jamaican authors; their backgrounds can be either British or American with some of Canada thrown into the picture. Robert Wedderburn is considered to be the first Jamaican writer. Mary Anne Barker came after him, and although she was Jamaican by birth, she was more of a New Zealander. Una Marson followed her and was most noteworthy for her work. However, we can say that the first renowned writer of all of these was Claude McKay, the Jamaican who after serving as a police officer in his country, journeyed to the US and took up writing as a profession. We can continue with Bob Marley’s mother, Cedella Marley and go on to Andrew Salkey, a Jamaican of Haitian background. John Colwell was next in line for he went on with some wonderful storytelling in a series of good books that can be gotten to this day. Olive Senior and Pamela Mordecai came right behind him with a lot of creative writing, the kind that will make you yearn for more. 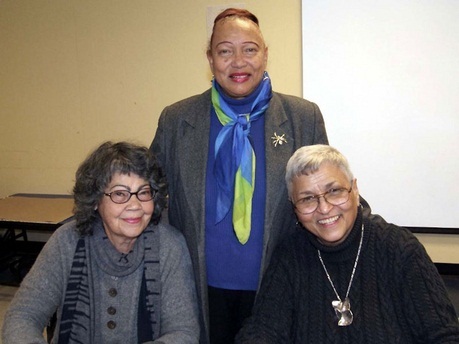 Lorna Goodison, Makeda Silvera, Nalo Hopkinson took Jamaican writers on trial that would certainly establish the island as a great place for mastering storytelling. Today Jamaican authors are slowly growing on a world wide basis. A list of modern Jamaican writers such as Alecia McKenzie, Brian Meeks, Colin Channer, Erna Brodber, Geoffrey Philp, Glen Carty, Kei Miller, Kiffra Solomon, Kwame Dawes, Marcia Douglas, Margaret Cezair-Thompson, Louise Bennet, Natalee Grant, Nikeisha Ricketts, Oku Onuora, Opal Palmer Adisa, Pamela Colman Smith, Patricia Powell Perry Henzel, Roger Mais, Staceyann Chin, Steven Anderson, Sylvia Wynter, Tanita satchwell, Terry-Ann Lee, Velma Pollard, Vere Johns, Victor Stafford Reid, Ryan Fraser and Anthony Winkler make Jamaican writers a group of creative people to be taken into account. Their writing varies from short stories to well created novels and books that are bound to keep your attention from beginning to end because of the artful way of telling a story, one that almost all of them has a special subject matter to deal with because of the diversity found in the country. The Arawaks, the first inhabitants of Xaymaca, as they named it, paved the way to our writing because of the heritage of oral storytelling that they left us. The injection of the English culture and the language gave us a unique way of writing. We can’t afford to let it go unheard of or be thrown to one side for it is rich in content and style. The African background, as broad and varied as it is, brought in the final uniqueness that was needed for the climax. 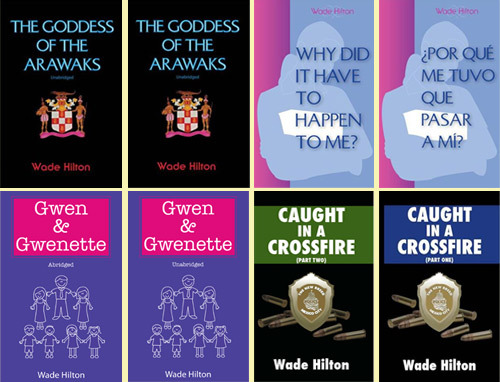 We at Wade Hilton from Jamaica will be doing everything to spread the word about our authors and their stories. We are bound to take them to the height they're needed to reach. At Wade Hilton from Jamaica we’re proud to identify ourselves with this new formation of Jamaican writers. There’s something special behind the history of this group for it excels in every way starting from the wide variety of topics from which we have to choose, the richness of the land of wood and water, the rugged terrain that attracts all of us, the beaches and the wonderful sunrise and set, the food, music and dance that will always inspire us. Don’t hesitate to let us know your comments and opinion on what we really want to prolong and turn into a group of people to uphold storytelling.